So….with things fairly under control and something to talk about… I thought an update on the Yazoo front and my home brewing front was in order. 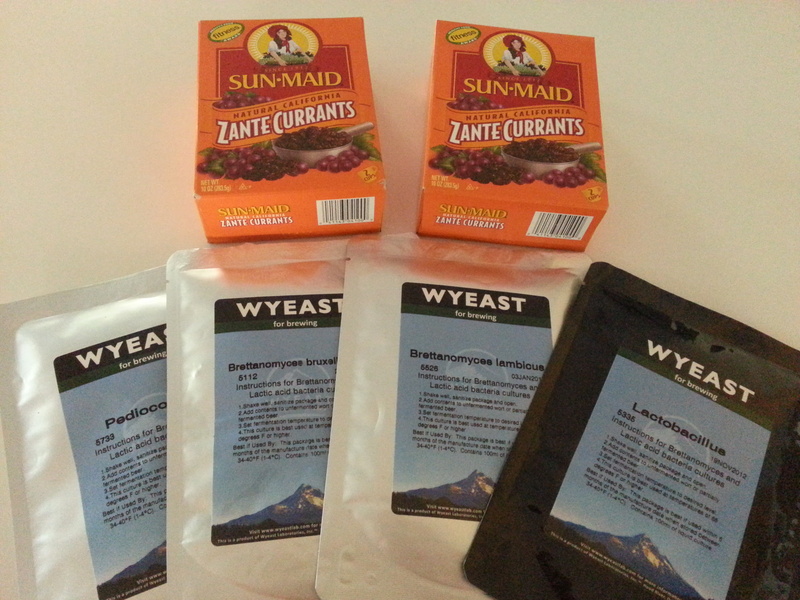 I currently have 8 different sour or wild beers fermenting at Yazoo. Last week we shot an interview with Beer Street Journal about our sour project (I’m told it should be up in the next week and be about 2 minutes). In that interview we revealed in November Linus and I had brewed a 10bbl batch of Flanders Red based on one of my recipes. The beer is being aged in 2007 Cabernet Sauvignon barrels and fermented with a custom microbe blend based on the blend I’ve had a lot of success with at home. It was pretty cool to see that blend built up as a 10bbl pitch from the lab! Release date is still very much “TBA”, but it could be around December 2013. When Linus and I were talking about how I wanted to build this program, I knew I wanted it to be built around Lambic or I guess American Wild Ale as we should call it here. Lambic and Flanders Brown have always been my 2 favorite funky styles. You can build so many great beers styles from a good batch of Lambic styled beer, so it just makes sense. 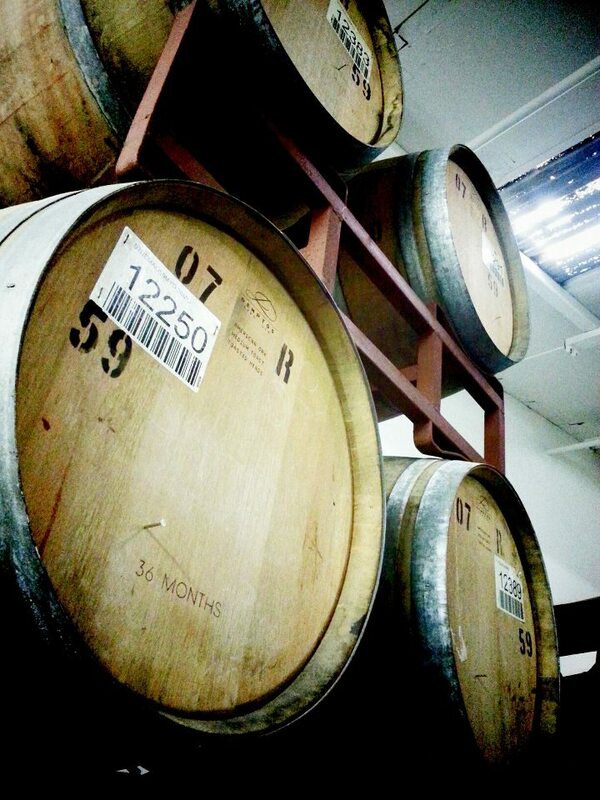 So we do in fact have a 100% barrel fermented Lambic styled beer going… 2bbls to be exact. Why a smaller amount than the others I have going? Well the bug blend I wanted to use was only available in a 1bbl pitch size, so we did have to do a little lab work and propagate it up to a 2bbl pitch. I’m happy to report that blend (we worked with Al at East Coast Yeast to build the initial pitch for us) is making some crazy funky beer in Nashville and we are proceeding with brewing a bigger batch. Initial sensory on this batch is giving some awesome flavors and aromas. Now I get to talk about a batch I’ve always wanted to do, but just didn’t have the equipment to do it until now: 100% spontaneously inoculated wild ale. 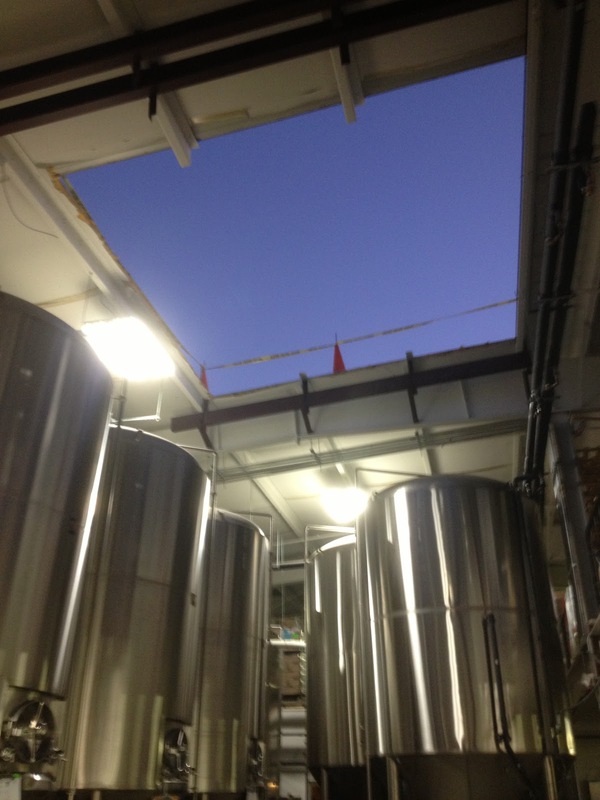 In December Yazoo installed two new 200bl fermenting tanks. They were so big that a section of the roof had to be temporarily removed so a crane could lower the tanks into place. The roof was open for a few days before the tanks arrived and as you can see in the pictures we had gorgeous cool weather for those days and the installation day. Now the area I work in is upstairs and being fairly close to that opening… combined with cooler, but not cold weather I knew it was time to go totally wild. I transported the hot wort upstairs to a large container (temp was around 140F) and left it open for 25 hours to cool and collect microbes then transferred into the fermentor. My main concern was making sure I didn’t have too much wort depth in the container. I tried to eyeball about 4-5 inches of worth depth, any more and I was concerned I wouldn’t collect enough microbes to ferment the total volume of wort. Was that the right call? At this point I’m not 100% sure, but the batch did kick off with active fermentation within 48 hours of hitting the “coolship” (for lack of a better term at this point). I haven’t done any lab work on this batch yet, but I hope to post some pictures on my Facebook page next week. It smells really funky at 5 weeks old…is that good or bad? I’ll let you know soon. That’s what we have going at Yazoo right now, I’ll talk about how the other batches are progressing in a future post. Linus and I have laid out the brewing plans for 2013, with some really neat styles being produced. Right now we are in the process of acquiring more barrels…some of which should arrive next week. I’m continuing to collect different non-commercially available variants of Brettanomyces and bacterias to hopefully produce some really cool test batch beers for the taproom. Now onto the home brewing! 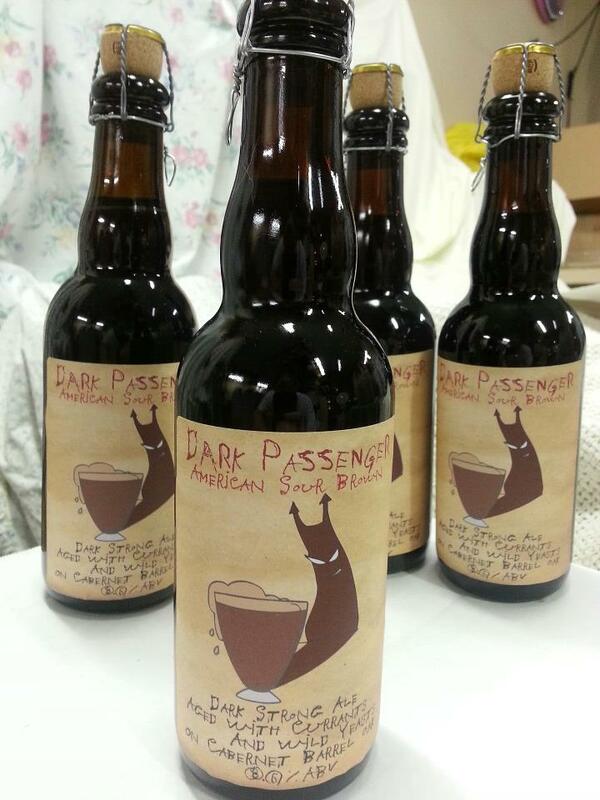 I recently brewed another batch of The Dark Passenger with a few changes. I was really happy with the way batch 1 turned out, but wanted to see how a little more malt and a higher gravity tasted in this recipe. I’ve since upgraded my mash tun to a larger size, but I had to use some DME in this recipe since my previous mash tun wouldn’t hold the volume of grain. Wyeast 3787 until 1.040 then the Bretts and Bacterias were added. Once again I went with dried currants, but added them at 1.035 instead of 1.019 like last time. The amount of currants was also slightly less at 10oz this time and 11oz on batch 1. The only reason for the smaller amount is they came in a 10z box as opposed to batch 1 when I purchased them by the ounce at Whole Foods. I really don’t think it will make much of a difference. The carboys seem to still be chugging along, I’ll do some sampling in March once they’ve had a chance to ferment for 4 months. Your wild efforts over at Yazoo sound mighty tasty. Good luck with the spontaneous fermentation! Nice post. Thanks for the update. Following your lead, I’m making a RR Consecration inspired beer. You’re cool with Sunkist Zante currants instead of black currants? Yep I;m good with it, they tasted fine when I sampled some. I’m curious what you used for the “coolship”. Also I was curious how you were going about getting non-commercial Brett and bacteria. Are you isolating your own from commercial beer? Your project sounds like a lot of fun and I’m excited to hear your results. Jeffery- I didn’t really want to even say “coolship” since I think it might give the wrong impression. Depending on how this works out I might look into having something fabricated that I would consider a real coolship with drain etc…. But yeah it was just this ss rectangle storage/shipping thing I found. I had to use a siphon to get the innoc’d wort out of it so it’s far from ideal, but was good enough to get the experiment going. When I say non-commercial what I’m referring to is not buying variants from the big 3 labs that everyone has. These strains I’ve managed to get are some isolated in lab from breweries in Belgium etc…, a couple have come from friends at other breweries that have isolated and grown them up. I noticed you were purposely vague and it had my wondering what you used. What a great project and great thinking of using the roof project as a positive thing. I’m working on isolating a few currently, so maybe we can have a future yeast trade. Ouch – that’s a lot of yeast packs! How often are you buying fresh cultures? Do you normally buy fresh for each batch or do you have them stashed away in banks/flasks/etc.? A little of both. The ones in the pic were freebies since they were past date. I usually just prop them up a little. I have a lot of strains and blends “banked” at home too. At Yazoo I have some strains there and a couple things banked at BSI. Pingback: Professor Good Ales » Post Topic » Big Batch Brew Day!